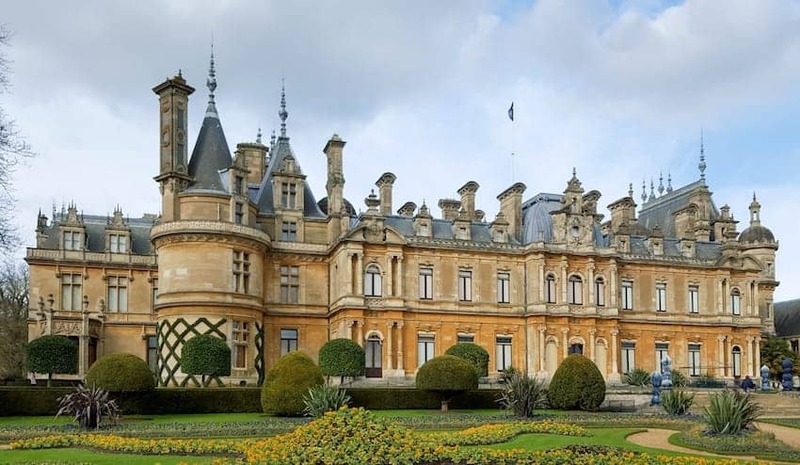 Waddesdon Manor is a country house in the village of Waddesdon, Buckinghamshire. The house was built in the Neo-Renaissance style of a French chateau between 1874 and 1889 for Baron Ferdinand de Rothschild as a weekend residence for grand entertaining. Guests came from royal, political and cultural circles. The Rothschild family were great collectors, valuing high quality workmanship and historical importance. The lavish original eighteenth-century interiors show off their superb collections of French porcelain, furniture, carpets, tapestries and silks along with paintings by famous artists.